← We Have A Date And A Place!! As many of you may know, I have chosen to use paper flowers rather than buying real flowers for the big day. My mom volunteered to make all the flowers for the event. She’s pretty much awesome. But until they came up this week for a visit, I had no idea what a huge undertaking these flowers would be! In previous posts I have dealt with making my own flowers and none of it has been an easy road. I pretty much chucked in the towel on that front, thus my mom taking on ceremony AND reception flowers for the wedding. How is she doing it? Very carefully. Folks there is a reason why I haven’t done a DIY on crafting the wedding flowers yet, this has got to be the most involved and complicated DIY for our wedding, and also one of the most important. The start-up cost to make these flowers is pretty massive, so that is why my mom wished to contribute. On top of the start-up cost, the labor to just make ONE of these flowers is about an hour AND each flower is only a little bit bigger than a quarter (probably half-dollar size, although some are a little bigger). In order to make these flowers, my mom bought a TON of those punches you see there. Each one does cost an arm and a leg, but like me, my mom is a bargain hunter so she found deals and coupons to cut her start-up cost in HALF. If you are thinking on taking on a project like this, make sure you search for the best deals in everything, you can seriously lessen the cost! To know what punches to buy she bought a few books on how to make all different kinds of flowers. In each of the books they tell you the specific kind of punches you need to make each flower, this way, you know exactly what to buy. This also saves you so much money, instead of doing everything blind, you have a guide to tell you all the materials you need down to the specific punches. 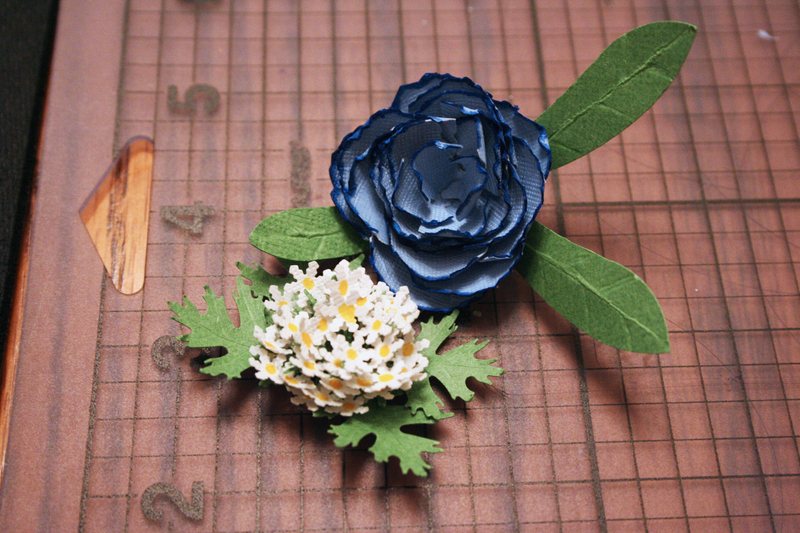 In addition to punches you need “shapers” which are tools that help to curl and bend the petals and leaves to look less like paper and more like flowers. In order to get your colors right, you can use different chalk colors and markers. And of course a heavy-duty craft glue is so important for everything to hold up. 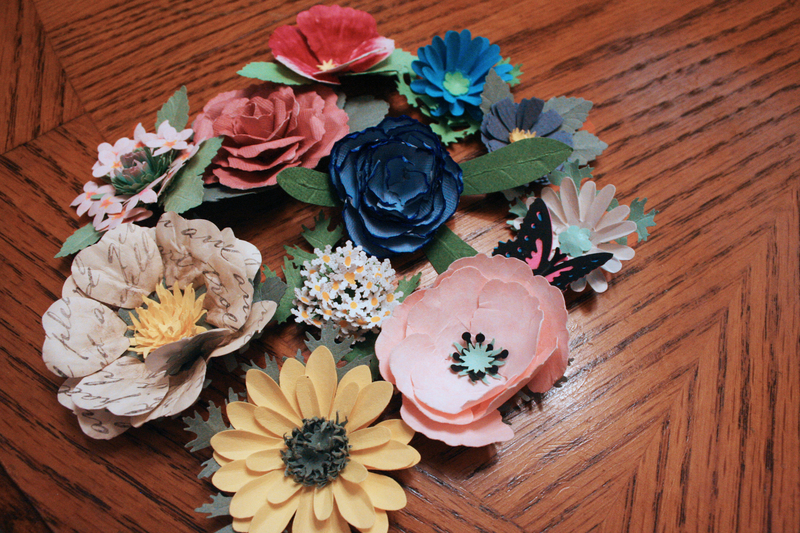 I was super excited to use all the tools and really go wild in making flowers! It’s sort of like dropping me into a bunch of craft supplies and saying, “Go nuts!” It’s pretty amazing what you can create when you have access to lots of materials. My flower adventure consisted of making Queen Anne’s Lace and a Carnation. You’ll see pictures of the Carnation process but the Queen Anne’s lace was a REAL challenge! It probably took me over an hour with all the tiny pieces and the end result was literally the size of a quarter! Alright, for the carnation I used the specific punches listed in the book, and punched everything I needed out of the paper. 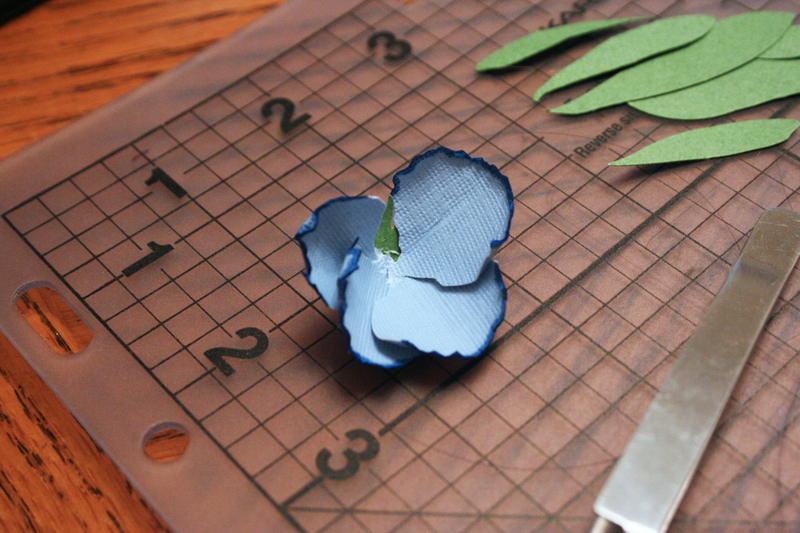 Then I took a shaping tool and sort of dragged it around on all the petals (and there were a lot of them) to basically break down the fibers of the paper and cause it to kind of curl. 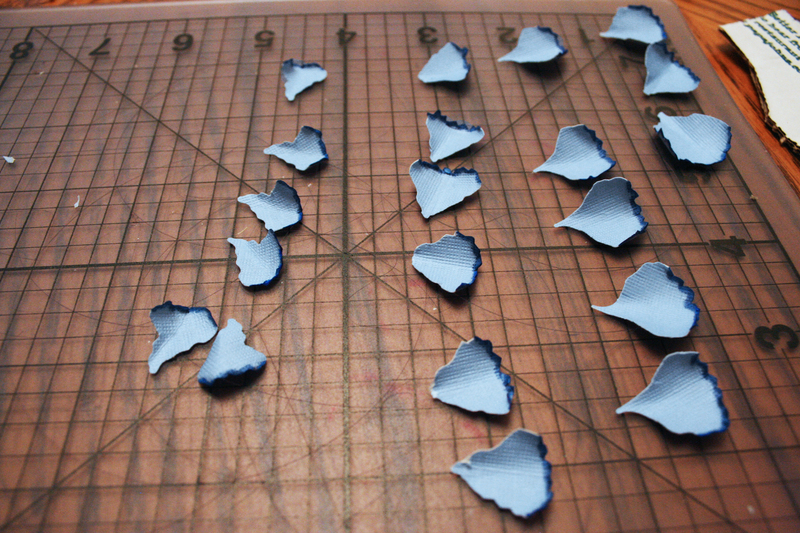 Depending on how many petals, this can take forever and really hurt your hand! But I can’t argue with the end result for sure! Next I used a marker to put some color on the edge of the petals. I wanted my carnation to look like that experiment you did in kindergarten when you put the carnation in food coloring and it colored the edges. If you have no idea what I’m talking about, try it! Put a white carnation in food coloring and water! Anyway, the journey to this point probably took about 20-30 minutes, I did some extra bending and shaping too, I wanted to make sure they looked as real as possible. Now comes the glueing part. 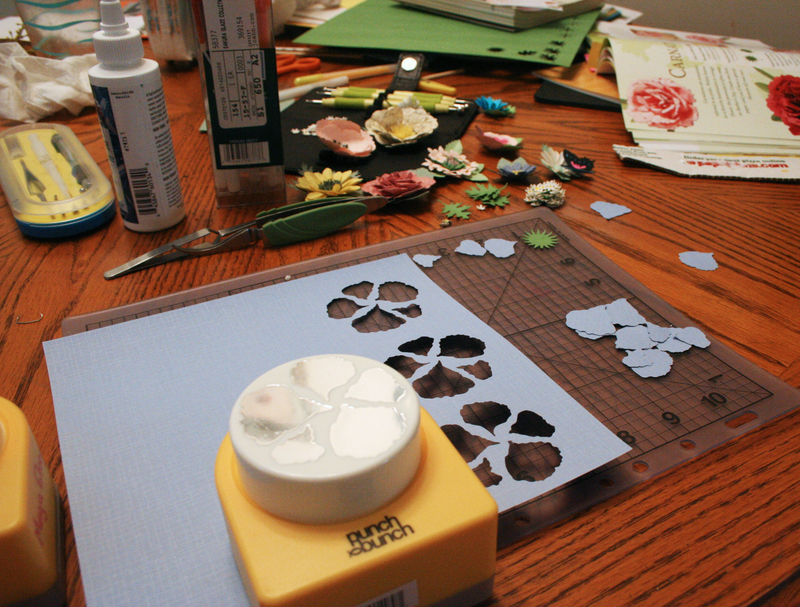 Along with each flower you are asked to punch out bottoms and leaves. 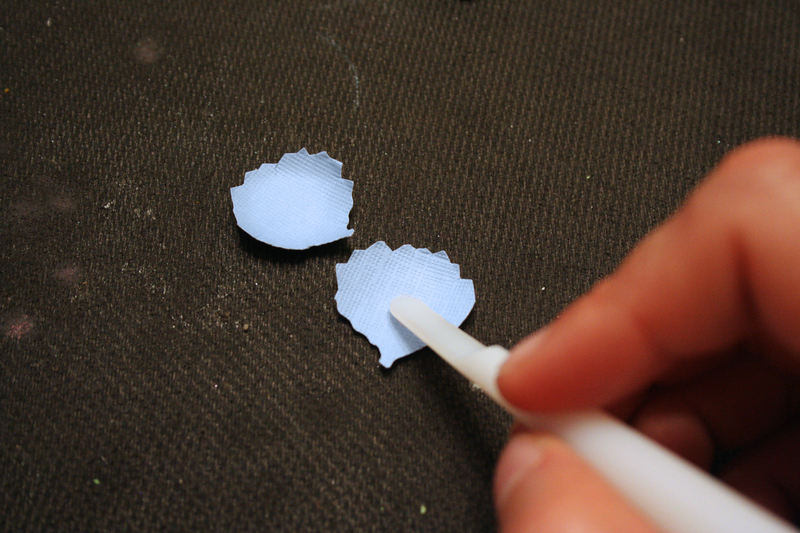 The bottoms are an anchor for the petals to stick onto, and once that is put together you can start to put your petals on around it. 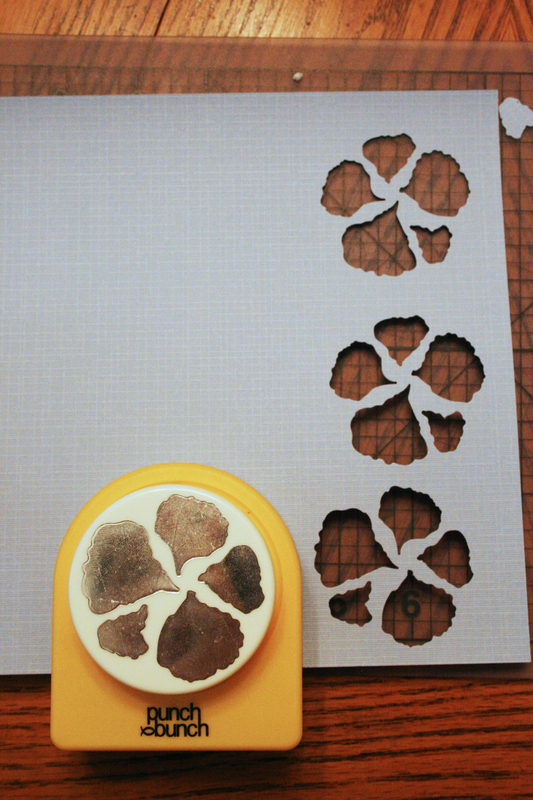 The best thing you can possibly buy to make this process smoother is a quick-drying VERY FIRM adhesive. The afore-mentioned books have suggestions, but a top-notch tacky glue is kinda what you should go for. Once you have glued down all your petals and let everything dry (if you bought excellent glue it shouldn’t take more than 10 minutes), you are finished! Attaching leaves is optional, but it does give it a more realistic look. I am so excited about these flowers, but I wanted to show that not all DIY can be totally simple, but sometimes it’s worth the extra time and money. While I am making so many simple things that cost nearly nothing, the flowers are a place where I wanted the decor to really stand out. I do recommend focusing on one part of your decor that you really want to pop. It’s your “wow” moment for everyone that is coming to the wedding. So this is my “wow” moment, what’s yours? What’s your favorite thing about your decor that your guests couldn’t get enough of? Seriously, your mom is awesome for so many reasons, but this takes it to a new level. That looks intricate. Way to go! Haha I’m a lucky gal!